Set up your payment details so we can send you your money. Go to Manage Funds > Payment Details in your dashboard, or just click here. Fill in your address information and click Next. 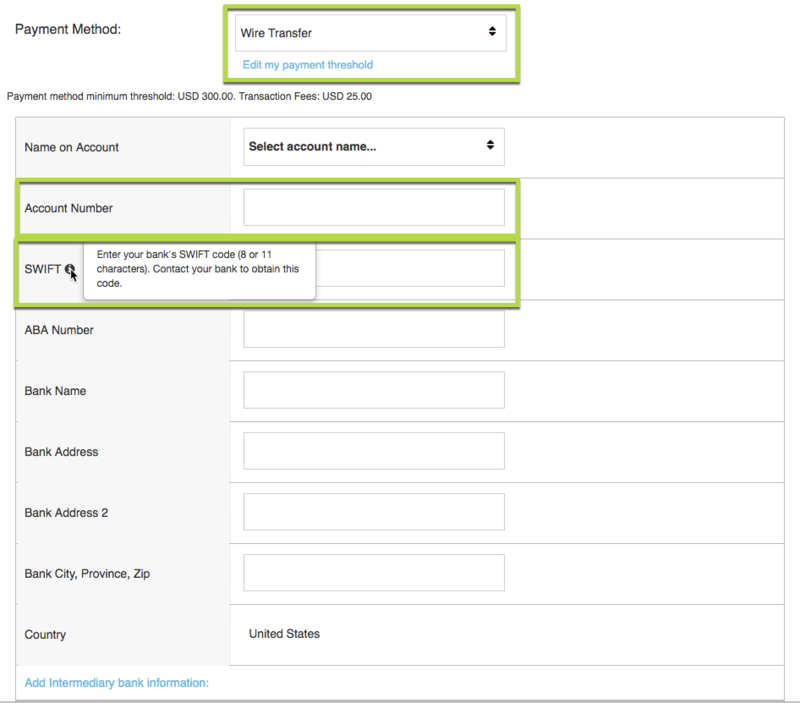 Wire Transfer: Select your account name and enter your banking information. Check: Select your currency and add your check information. Payment method minimum threshold: USD 75.00. Transaction Fees: USD 10.00. 3% Currency conversion fee may apply. 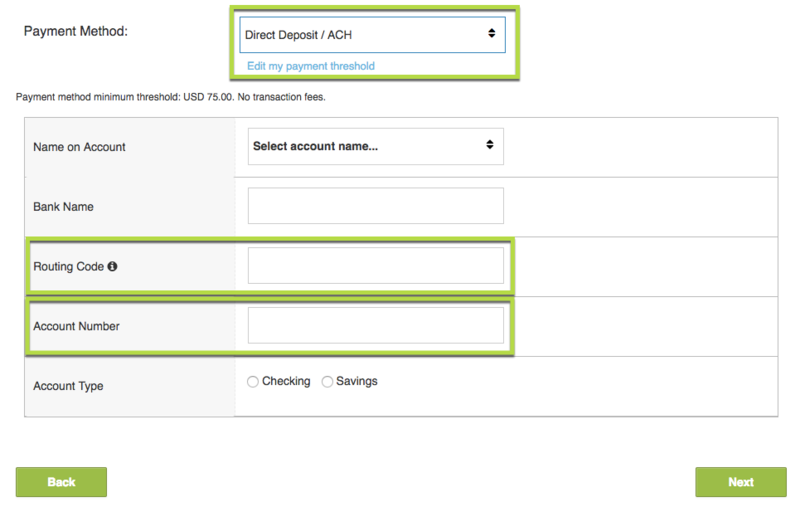 Direct Deposit/ACH: Enter your bank name, routing number, account number, and account type. PayPal: Chartboost will no longer accept PayPal as a supported payment method starting Dec. 1, 2017. Hold My Payments: When this option is selected, payments will not be executed. When you select a different, valid, payment method, your payments will be released. 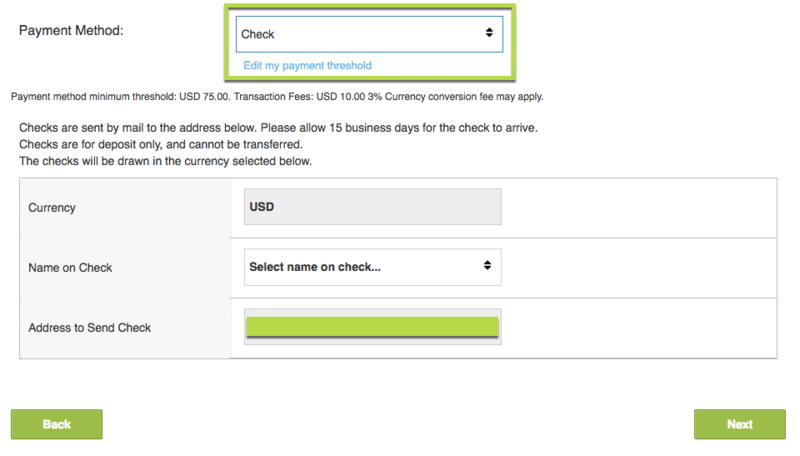 If your country in the Address section is different than the country selected in your Payment Method, please let us know at payments@chartboost.com. By default, we’ll assume your account is based in the same country as your address. Upload a W-9 tax form (for US vendors) or W-8BEN tax form (for international vendors). Please don’t email us copies of your W-9 or W-8BEN forms! Chartboost is not responsible for any tax withholdings that you, the publisher, may owe to the Internal Revenue Service of the United States or to your government. Click Next. If you have successfully completed all these steps, you will see Done. Changes may take up to an hour to show on your dashboard. 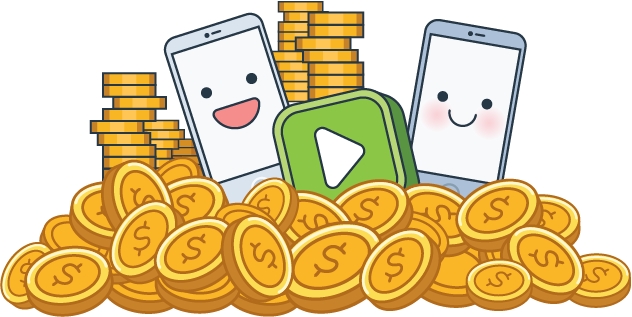 Start a publishing campaign to show ads in your game and earn revenue from clicks, views, etc. Check out our payment terms to learn how often you will receive your earnings. When will I get paid? Why didn’t I get paid?